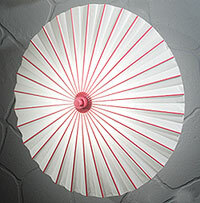 Decorate your home or party with our latest Parasol Shades. Comes with wire clip to attach on any standard light bulb. May be use as hanging, wall mount or ceiling mount to an existing light fixture.